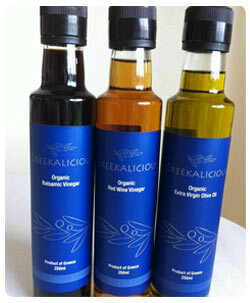 Greekalicious extra virgin olive oil, balsamic vinegar and red wine vinegar (250ml) is made by the monks at the historical Monastery Agia Triada in Crete, Greece, which the monks having been making since 1632. 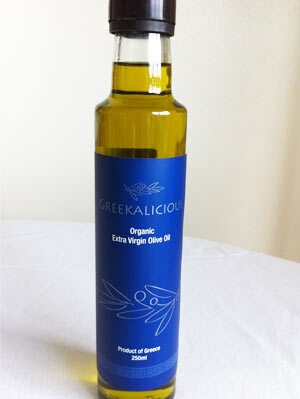 Buy 1 bottle of the extra virgin olive oil, 1 bottle of the balsamic vinegar and 1 bottle of the red wine vinegar for a discounted price of $50.00 for the 3 bottles. The combination of centuries old trees, fertile lands, healthy climate, the care and dedication the monks have harmoniously utilized gives the olive oil, balsamic vinegar and red wine vinegar the most amazing aroma and fragrance.